We are an independent hair salon in the heart of Manchester's Northern Quarter with a small, tightly-knit team that works together to bring you great hair cuts, colours, styling and a high level of customer care. 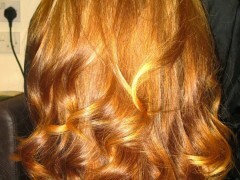 We have a relaxed, friendly feel to our hair salon and it is our aim to put you at ease as soon as you enter. You can find out more about our hairdressing team on our About Us about page page. We offer in-depth consultations and we are truthful about what is possible. We ensure that both client and stylist are in agreement about the desired outcome. Our salon offers services to both women and men - trims and restyles, all hair colouring techniques, blow drys and advice about maintaining your brand new hair at home. 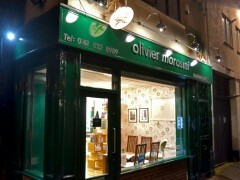 Olivier Morosini Hairdressing has built up a solid clientele over the years (some now bring their children) and we continue to welcome new clients to our Northern Quarter salon. On the Testimonials page you can read a selection of our reviews.Take a look at the reviews on Google too. We believe that our prices are very reasonable and these can be checked out on the Price List page. A comprehensive range of products are available to buy - these can be found on our Homecare page, or come to our hair salon where we will take our time to give you the very best hair advice for your hair type.